Dr. Rodolfo Fernandez M.D., M.H.S.A. Pria Wellness Center represents my long-time desire to help individuals achieve the highest level of wellness possible – so that they can live at their full potential. 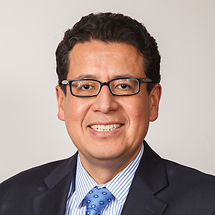 Dr. Rudy Fernandez completed post-graduate residency training in Internal Medicine at The Western Pennsylvania Hospital, western Clinical Campus of Temple University School of Medicine. The Western Pennsylvania Hospital was one of just 16 major teaching hospitals in the country, and the only one in Pittsburgh, to be recognized by the Solucient Institute as among the country’s 100 Top Hospitals overall and as one of the 100 Top Hospitals in heart care in 2003. He then went on to pursue further training through a Fellowship in academic Primary Care at The George Washington University Department of Health Care Sciences. During that training, Dr. Fernandez consolidated his knowledge and skills in Internal Medicine and Primary Care. Years later, he obtained a Masters in Health Services from the School of Public Health at The George Washington University in Washington, D.C., and also worked as an Assistant Professor of Medicine at The George Washington University Department of Health Care Sciences. Dr. Fernandez received advanced training in obesity treatment from the American Society of Bariatric Physicians and has attended numerous conferences and courses in this specialty. He became board certified in Obesity Medicine in 2013. In addition to his clinical work, Dr. Fernandez continues to work as a medical consultant, medical director and physician advisor for different health care organizations in the area of Maryland and D.C.
As a Certified Medical Assistant, Brandy Jones’ deep compassion, caring and enthusiasm make her a powerful ally for Pria Wellness Center clients. 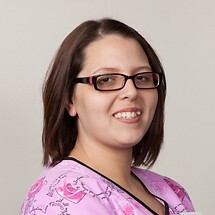 Brandy graduated from the TESST College of Technology in 2013.